The pleasures of having an intern come to stay! Last week Sara Price “shadowed” me as I went about my normal business, going to various meetings and processing information, sometimes producing diagrammatic models to help build up pictures of our systems, processes and strategies and their interrelationships… Sara blogged about her experience here: Sara’s blog post. 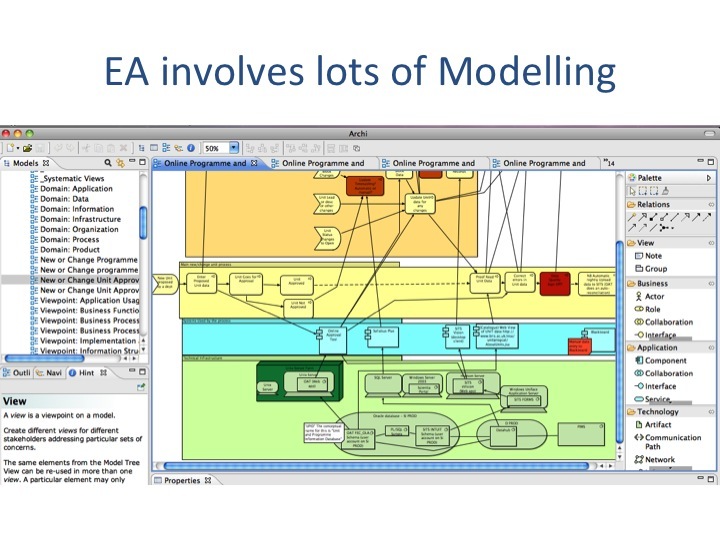 In fact Sara quickly got up to speed with the Archimate modelling language and by the end of the week gave me a neat appraisal of how Archimate compares with Triaster process mapping (undertaken extensively by our team of Business Analysts here at Bristol). She said she thought that Triaster process maps are an excellent entry point to understanding complex business processes, and, as a linguist (Sara is studying for an MA in English Literature at Exeter University) they were intuitive and helpful. She said she thought that Archimate modelling on the other hand gets further in to the nuts and bolts of information modelling and that moving from Triaster models to Archimate models forces one to become very precise at a number of levels (ranging from specifying who exactly interacts with a process, down to the tool and underlying systems that are used). 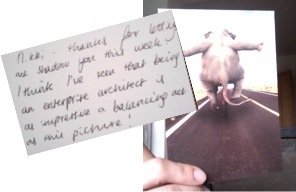 All very interesting stuff – thank you Sara and good luck with your dissertation! We created the new Enterprise Architect role within IT Services here at Bristol back in February 2011. This was following some work with the JISC and a concerted effort to initialise EA activity formally within the organisation. More on this background to EA activity here at Bristol can be found in a blog created by Luke Taylor. Hello, I’m Nikki Rogers, Bristol’s Enterprise Architect, and this is the blog I maintain to share information about our EA activity at the University of Bristol. If you wish to know about EA in the wider setting of UK Higher Education then please take a look at the JISC Infonet introductory pages on this topic: http://www.jiscinfonet.ac.uk/flexible-service-delivery/ea. And if you’re wondering about what I do, here are some indications …. 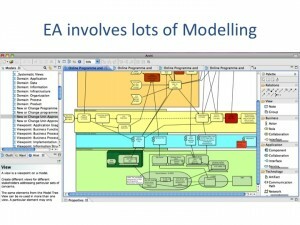 Modelling with Archimate - I currently use the Archi tool for this. 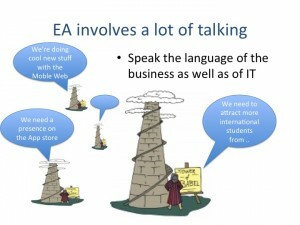 Models and related documentation are held in the University’s Enterprise Continuum, which is growing over time, currently at https://wikis.bris.ac.uk/display/EntContinuum/Home#.